Nestled between the beautiful beach of Anse Royale and the tropical mountain slopes of Mahe island lies La Villa Therese holiday apartments. Guests can enjoy the calm waters of the reef lagoon with white sand beaches. It is the perfect place to experience all the delights of the Indian Ocean. 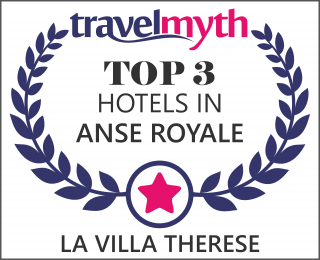 With charm and a relaxed Seychellois atmosphere, La Villa Therese offers spacious rooms in a convenient location all at great value. This accommodation is a perfect base for exploring the island of Mahé and its many activities or simply relaxing the Seychellois way. ​La Villa Therese are very pleased to present our new in-house car rental business Kingfisher Cars ltd.